2 x Low Profile Slotbleche Slot Blende zur Abdeckung für Gehäuse Low-ProfileEUR 1,7900. Asus COM / Seriell 9-pin Slotblende Slot Blende Bracket 9-pol Anschluss 9 polEUR 2,9500. -> Monitore. -> Netzwerk und Zubehör. 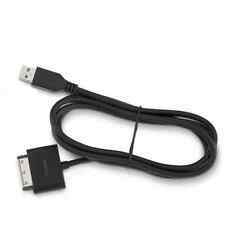 NEUWARE & ORIGINAL Toshiba USB Cable Ladekabel H000035670 A200000140 Smartbook AT200 AT3005742 BLACK / Schwarz. neues ORIGINAL TOSHIBA - Ersatzteil. Original Ersatzteil-Qualitätsware. Die auf den Batterien abgebildeten Symbole haben folgende Bedeutung: Das Symbol der durchgekreuzten Mülltonne bedeutet, dass die Batterie nicht in den Hausmüll gegeben werden darf. NEUWARE & ORIGINAL Toshiba USB Cable Ladekabel H000035670 A200000140 Tablet AT200 AT3005742 BLACK / Schwarz. neues ORIGINAL TOSHIBA - Ersatzteil. Original Ersatzteil-Qualitätsware. Die auf den Batterien abgebildeten Symbole haben folgende Bedeutung: Das Symbol der durchgekreuzten Mülltonne bedeutet, dass die Batterie nicht in den Hausmüll gegeben werden darf. Does not include USB Cable. Charger ONLY. Input : 100-240V .4A Output: 5V 2A 10W . Part Number: PA3996U-1CAB, PA3996U-1ACA, PA3977U-1ACA, PA3996U, PA3996U-1ARA. Compatibility: Compatible with Toshiba Thrive™ 7”, Excite™ 7.7, 10 and 10 LE Tablet PC series. DC-IN Plug: Flat Pin for Excite 7.7/10/10 LE and Thrive 7” tablets and docks. We want to fix it and make it right. We will work hard to resolve your issue quickly. Unit is used and in excellent condition. Item has been inspected/tested and still works great! This does include Alaska, Hawaii, Puerto Rico, APO's and FPO's. 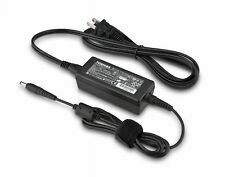 New in box AC Adapter for 10" 10.1" Thrive Tablet. Toshiba Thrive Standard Dock with Audio Out PA3956U-1PRP. DOES NOT INCLUDE TOSHIBA THRIVE TABLET. We will try to accommodate with reasons. Check-Out Process I do not monitor this web site after the sale. Genuine Toshiba PA3743u-1ACA Power Adapter & Power Cord 19V 1.58A PA-1300-03. output: 19V 1.58A. 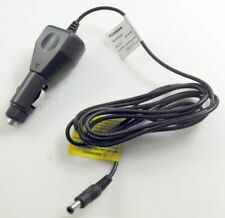 Genuine Toshiba PA3922U-1ACA Power Adapter & Power Cord 19V 1.58A 30W thrive - No power cord included. Condition is New. Box has been opened by product has never been used. Length 59 in. Made in Japan. Toshiba REGZAタブレットの充電ケーブル。. AT700 / 35D. AT3S0 / 35D. AT830 / T6F. AT700 / 46F. AT570 / 46F. Fusion Lattice Model: AT305SET16. (not compatible with Excite 10, Excite 10 LE, Excite Write and Excite Pro models). Used with Excite 10 SE, Excite Pure and Encore only. 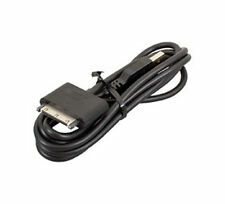 This Toshiba USB Charging Cable can be used with the Toshiba Excite™ 10 SE, Excite™ Pure and Encore™ Tablets. New ORIGINAL TOSHIBA - Parts. Original spare parts quality goods. 97944 Boxberg. With selected products. based on the official distributor. No reactions or China import. Toshiba Portege Z10t Keyboard Dock. 90 Degrees Docking Station PA5172A. You will usually receive a reply within 24 hours. Note: images used for illustration purposes only. Pickup available. Spain, Arabia, Bangladesh, France, Kuwait, Laos, Sri Lanka, the Philippines, Thailand, Vietnam, South Africa, Netherlands, New Zealand, Poland, Finland, Hungary, Czech Republic. We try our best to do best service. For Toshiba AT1S0, AT150, AT200, AT270, AT300 Tablet and AT1S0 Standard Dock. The Toshiba AC Adapter can be used with the Toshiba 7” AT1S0 Tablet, AT1S0 Standard Dock, AT150, AT270 and AT300. Compatible with the Toshiba AT1S0, AT150, AT200, AT270, AT300 Tablet and AT1S0 Standard Dock. Be sure to double check part numbers to ensure you are buying the correct part for your system. Pictures are of the actual item(s) you will receive. We do our best to describe the history, condition, & functionality of each unit to the best of our knowledge. Sold Individually (One adapter per order), although pictures may show multiple units. Always GO Genuine and OEM.